For her first solo show outside of the US, the New York-based Latvian artist presents a new commission at Studio Voltaire that extends beyond the confines of her canvases. 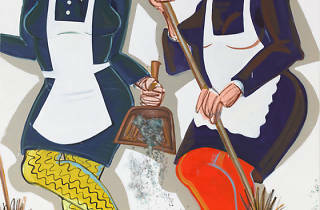 Kruglyanskaya’s creates a procession of resolute and vivacious female characters not to be trifled with in her wall mural of working women. 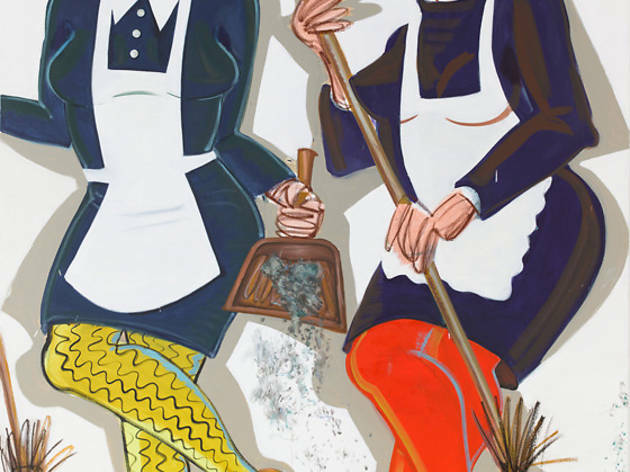 The painter’s potent works reveal a transformed representation of women that is both equally humourous and uncompromising.